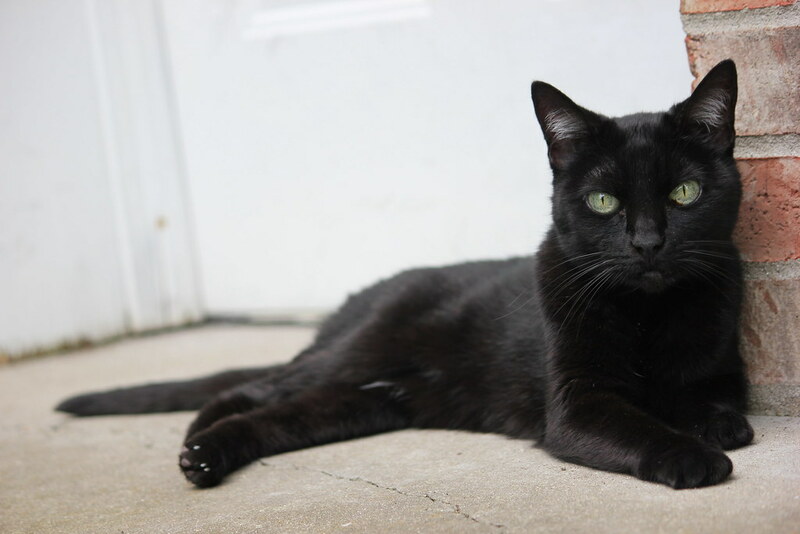 If you’re looking for some cute black cat names, you’ll love this list! Fun fact: The Cat Fanciers’ Association (CFA) currently recognizes 22 cat breeds that can have black coats. However, there is only one breed that only features a black coat exclusively. Whether you’re the parent of a Bombay or one of the other black-coated kitties, here are some cute names for your black cat or kitten. Bagheera is from Indian origin meaning- tiger-like. I don’t know about you, but I am a huge fan of The Jungle Book movies and Bagheera is my favorite character. 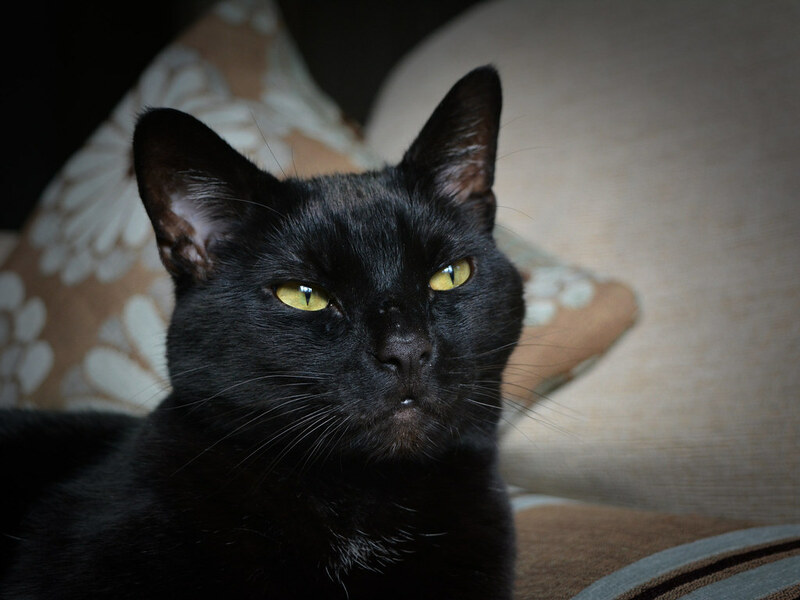 Bagheera is a wise black panther, who is a friend, mentor and protector of Mowgli. 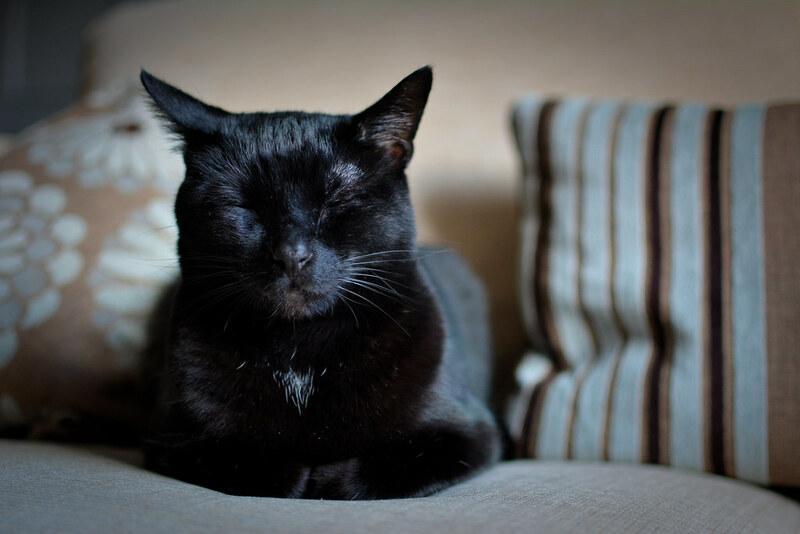 RELATED: 14 cute black cats YOU Need to check today. Felix is from Latin origin meaning- happy, fortunate. Felix the Cat is a funny anthropomorphic cat from the Felix the Cat television, as well as numerous short films (silent and sound). 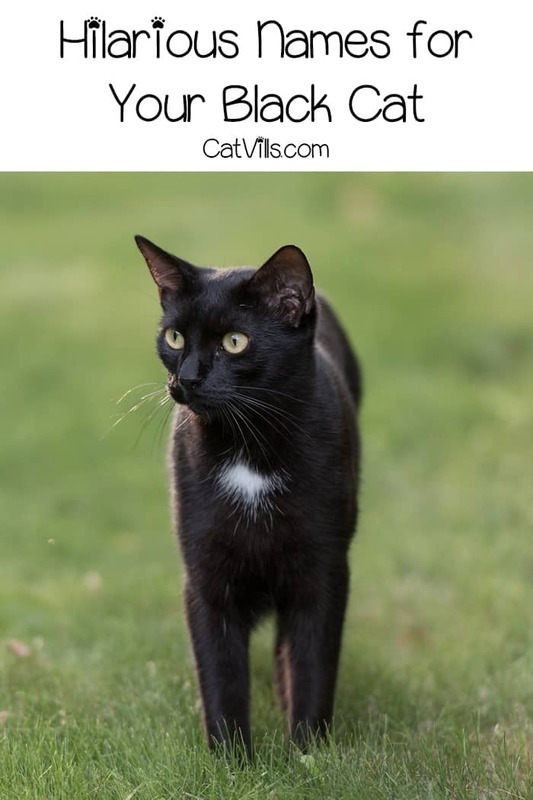 It’s a great name if you’re looking for hilarious black cat names! With the name Panther, you could choose to name your cat after the black panther animal or the superhero. Yes, I know they both have the same name, but maybe you aren’t a fan of superhero movies. A black panther (animal) is a melanistic species of big cats. In North America and South America, they are known as black jaguars, while in Africa and Asia, they are known as leopards. Okay, yes, I know that a Stallion is a horse, but this is such a cute name for a black cat. Doesn’t the name Stallion make you think of the 1979 movie- The Black Stallion ? I know that the name reminds me of the movie. Elvira is from Spanish origin meaning- white, fair. I probably don’t have to tell you who Elvira is because she’s been in the spotlight for close to 30 years. Elvira, known as the Mistress of the Dark, has made a career off of Halloween. Nyx is from Greek origin meaning- night. Fittingly, Nyx is the Greek goddess of the night. She can either represent good or evil, meaning she can either bring about sleep or she can bring about death. I, for one, definitely choose sleep. Selina is from French origin meaning- heaven and also from Greek origin meaning- moon. Does the name Selina Kyle ring a bell to you? Well, may you’ll recognize her more common name- Catwoman. Selina Kyle is Catwoman’s secret identity. 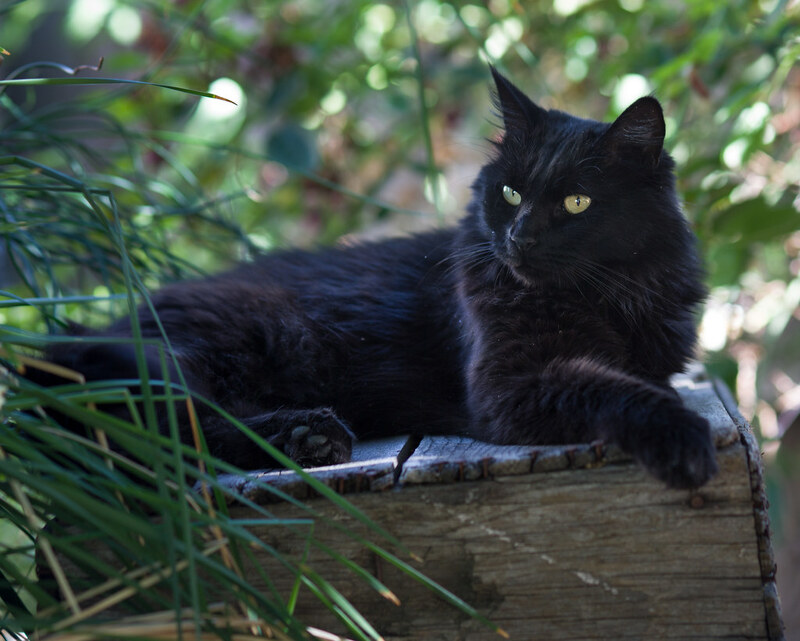 Winkie is a black cat and close companion of orphans, Tia and Tony Malone, in the 1975 movie- Escape to Witch Mountain . How absolutely cute is the name Winkie? I love it! No, I am not talking about the line of smartphones and tablets here. I am referring to the juicy, sweet fruit. Blackberries are edible fruits that are very dark in color. They are packed with Vitamins C and K, high in fiber and manganese and low in sodium and calories. The name Caviar just sounds sophisticated, doesn’t it? Caviar is from Persian origin meaning- bearing eggs. If you don’t know what caviar is, let me try to explain it without grossing you out. Caviar is pickled roe, which are egg masses located inside of the ovaries. These salted eggs mainly come from sturgeon fish, but can also come from salmon, trout and whitefish. Have you ever tasted caviar? I haven’t but I know someone who has, and they say it has a smooth, salty, fishy taste. Mamba is a cat name that I just love. I am not a huge fan of snakes, but this name is just adorable. The black mamba belongs to the Elapidae family of venomous snakes. Did you know that adult black mambas can reach lengths of 6-14 feet. Midnight is a dark and mysterious time of the night. The quote comes from the poem- Tam O’ Shanter- by poet Robert Burns. Do you have a favorite quote about midnight? These black cat names focus on the eyes rather than your cat’s fur color! Clover is from English origin meaning- a wild flower. A four-leaf clover is the rare variety of the common three-leaf clover. In fact, it has been said that for every four-leaf clover, there are 5,000 three-leaf clovers. According to the Guinness World Records, Edward Martin holds the record for the largest collection of four-leaf clovers, with 111,060 four-leaf clovers. That is just insane, considering how rare they are to find! Emerald is from Persian origin meaning- green. Emeralds are green-colored gemstones that are mostly mined in Brazil, Columbia and Zambia. The Emerald is the birthstone for the month of May, as well as the anniversary gemstone for both 20th and 35th wedding anniversaries. Jade is from Spanish origin meaning- jewel. The Jade gemstone is made from 2 different minerals- Jadeite and Nephrite, with Jadeite being the most popular. Jade features 6 natural colors- black, green, lavender, red, white and yellow, with green being the most common. Jade is the anniversary gemstone for a 12th wedding anniversary. Willow is from English origin meaning- slender and graceful, referring to the willow tree. Currently, there are approximately 400 species of willow, commonly found throughout Asia, Europe and North America. This is also one of my favorite witch names for cats! Beetles are the most common type of insect, with more than 360,000 species worldwide. Did you know that the heaviest beetle is the Goliath beetle, which can weigh up to 3.52 ounces and the longest beetle is the Hercules beetle, which measures between 5.90 and 7.08 inches long? It’s a super cute name for an itty bitty kitty! I would have to say that out of all the names on this list, this one has to be my favorite. It is cute, adorable and unique. Berlioz is the sweet black kitten from the 1970 movie- The Aristocats . He is the youngest kitten of Duchess. Berlioz has an older sister- Marie and an older brother- Toulouse. Ciara is from Irish origin meaning- little dark one. What an absolutely perfect name for a little black kitten, wouldn’t you say? How cute is the name Ninja for a little black kitten? I love it! So, ninjas were professional Japanese assassins, infiltrators, mercenaries, spies and thieves who were highly skilled in ninjutsu, the Japanese art of camouflage, sabotage and stealth. Ninjas were active from the 12th century until the 17th century. Do you have any other favorite black cat names? Share below! I have pet 3 black cats in one of my regular coffee shops. Names are Caviar, Felix and Midnight. And they are beautiful. 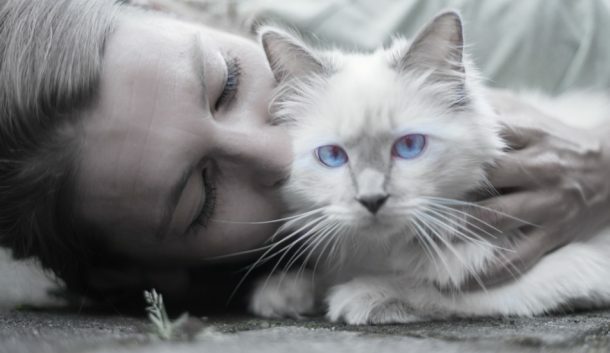 If I could I would rescue any and every kitty out there!!!! I dont think I’ve owned a pitch black one yet though!!!! Baghera would be my choice. Those are some pretty great black cat names. I wouldn’t have thought of Bagheera, but it’s only appropriate. And Elvira for a girl is pretty great too. If I had a black cat, I would choose the name Willow. That sounds like a pretty name. Cats are really graceful creatures so the name Willow is perfect. From sabrina the teenage witch. I’ve always wanted a black Male kitty to name Salem!